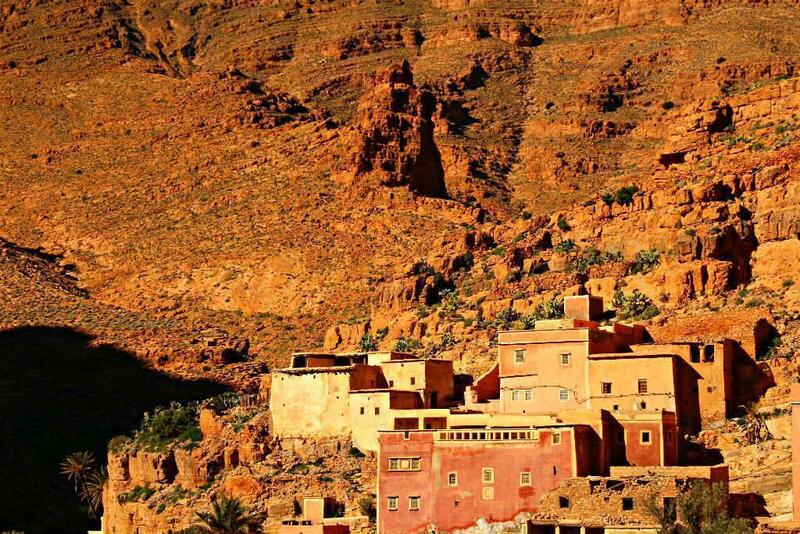 This 9 day off- the- beaten- track Morocco tour leaves Marrakech over the High Atlas mountains, reaches the Sahara to then take you deep south into a mystical land where not many have ventured before. 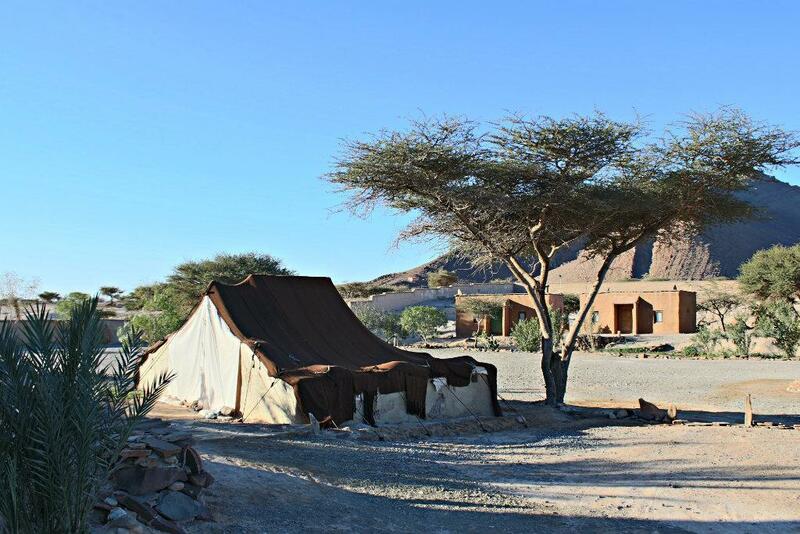 We follow the old caravan route from Marrakech over the High Atlas mountains, past UNESCO world site Ait Benhaddou, along the Draa river with its Biblical villages and lush palm grove and into the Sahara desert. 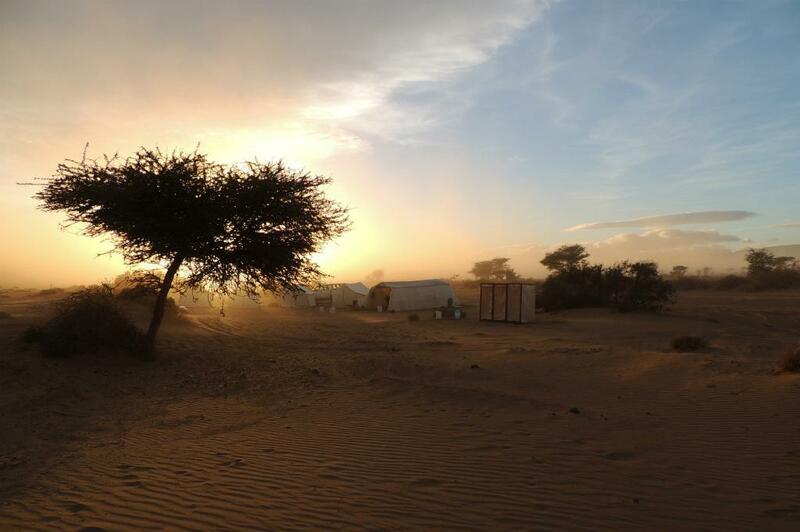 After riding a camel and having dinner under the stars, spend the night in Erg Chigaga dunes, in the safety of your private tent. Then, ride through the desert, have tea with the nomads and pick up milennia- old fossils. Later on, continue south, and uncover some of Morocco's besh hidden secrets, with the distinct feeling that you are the first person to ever walk there. Trekking up a river bed to find yourself in the middle of primordial gorges, their wax- like lava walls appearing to have caught time suspended. 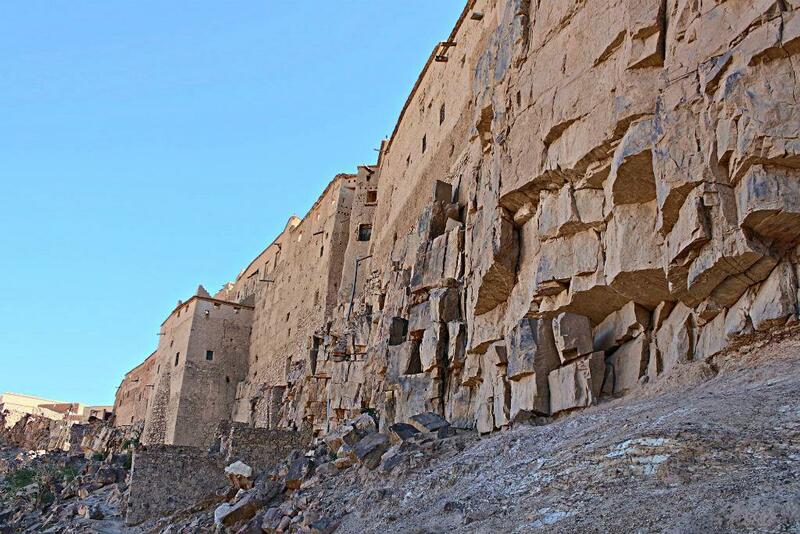 Century- old granaries, fierce mountain- top fortresses, where the village folks still stock their grains. The ruins of a 17th century mosque, hidden in the middle of a palm grove. 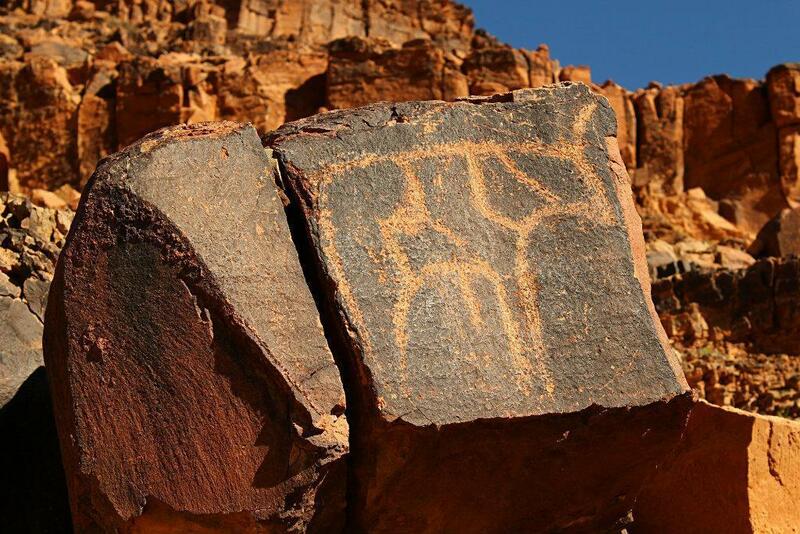 The millennia old rock engravings, portraying wild animals, hunters and some of the first letters of the Berber alphabet. 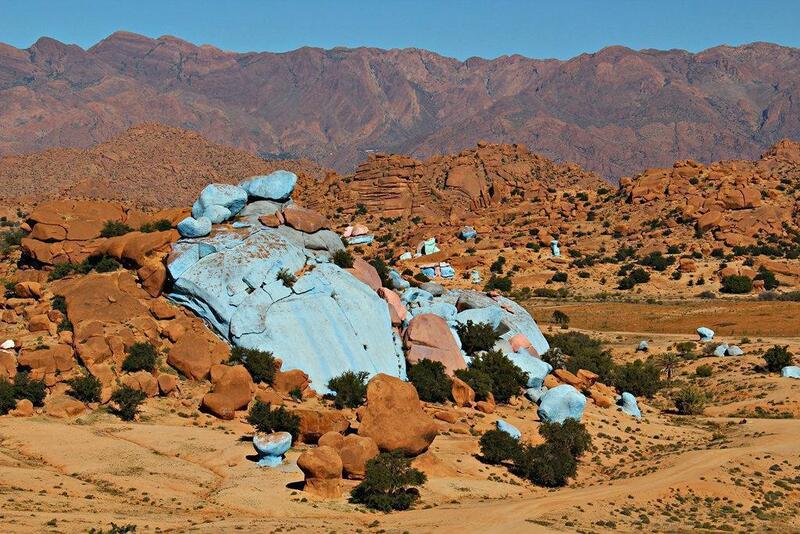 Then, we head north into the Anti Atlas and spend a night in the highly picturesque village of Tafraoute, a heaven for trekking, hiking and mountain biking. End the tour with some pristine Atlantic beaches, before reaching the 'small Marrakech' - Taroudant. 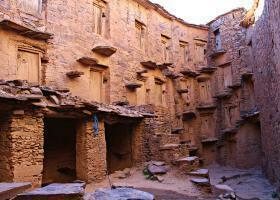 Day 1: Marrakech- Tizi n Tichka – Telouet – Ait Benhaddou ( 3 hour drive). Leaving Marrakech behind, we soon take on the High Atlas. Breath taking panoramas and hairpin curbs succeed while the route follows one moment out in the open, the next under dense pine trees. Shortly after reaching 2200 meters altitude, you leave the main route to reach the village of Telouet and the Kasbah of the Glaoui. From the ensemble of three ruined kasbahs only one has maintained its reception rooms where intricate zellij patterns and precious wood greet the eye. 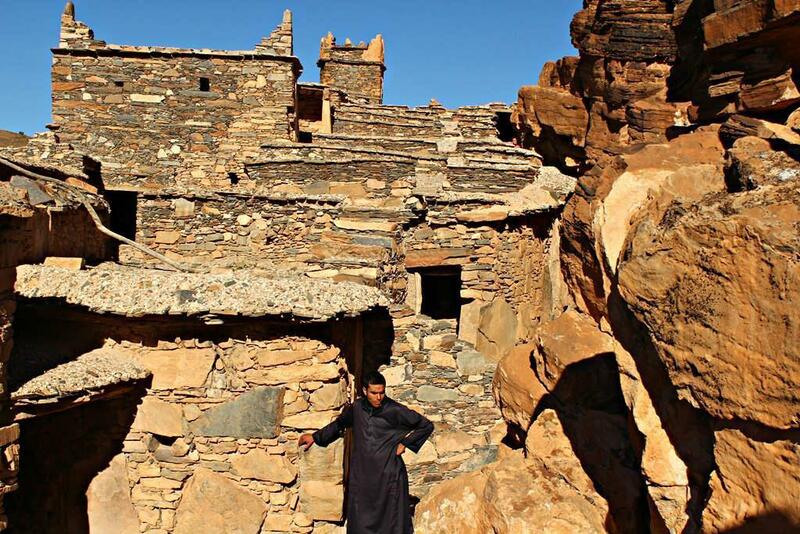 Pacha Glaoui had employed the most skilled artisans to build and decorate his main residence and, in its golden age, armies, stables and Christian slaves were confined within its walls while a flourishing Jewish community managed the nearby salt mines. Then, our road follows Ounila valley with its mosaic of gardens and tiny douars. 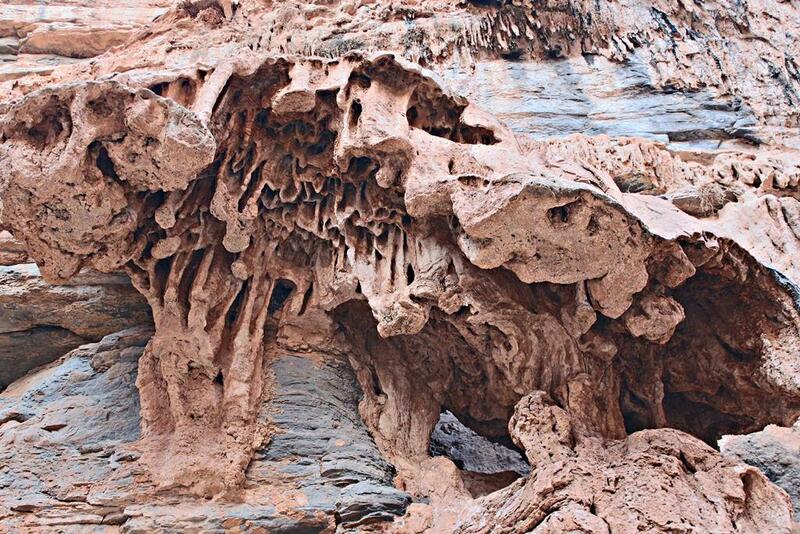 Occasionally the valley turns into a canyon, where the nomads have dug centuries ago galleries of grottos to stock grains. 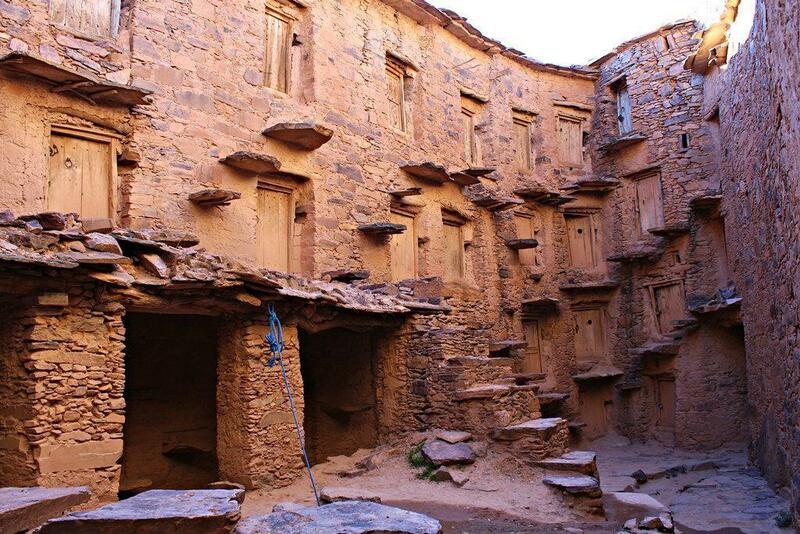 Late afternoon is the right time to visit UNESCO site of Ait Benhaddou, the postcard- like adobe citadel. With a bit of luck, the crowds have already deserted the place. 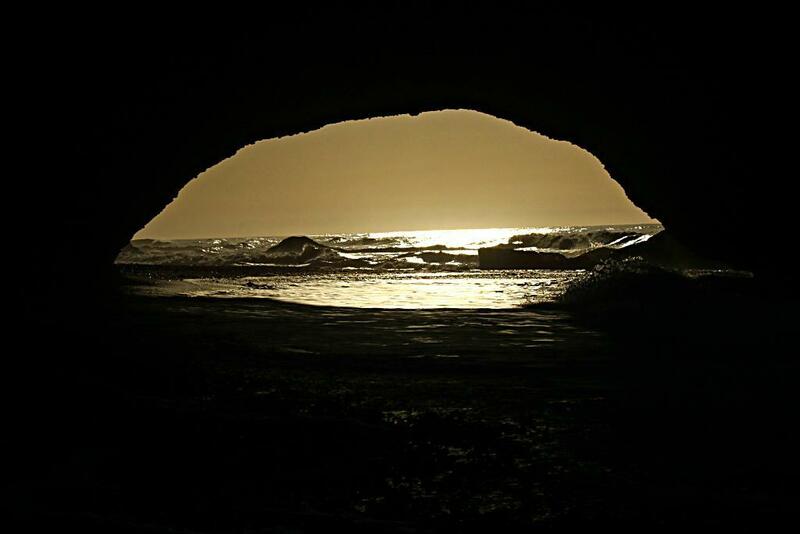 A fat, red sun, only underlines the beige tones of the mud and straws mixture and through the covered passages and stone walls, the past filters itself into the present. 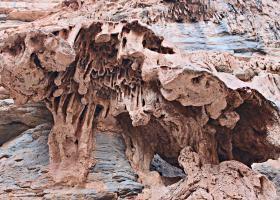 In spite of the local ‘guides’, the best is to just lose yourself in its derbs and explore the honey – comb structures. 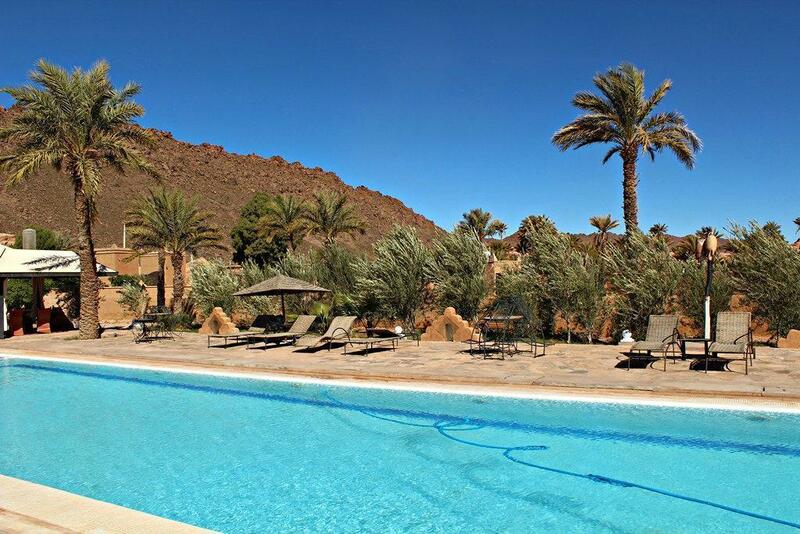 Spend the night in a refurbished Kasbah, in the vicinity of Ait Benhaddou. Today our itinerary travels along the mythical Draa Valley, a route so often used for centuries by the caravans bringing gold, slaves, ivory or feathers from Mali or Ghana. But first, locally sourced breakfast – better had on the roof terrace from you can admire the palm grove below. Or why not, bake bread with the ladies in the village oven. 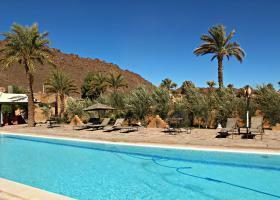 In Ouarzazate, the only noteworthy site is the film studios, if you are travelling with children. Leaving the plain behind, the road climbs, twists and turns its way up through bare calcified gorges. Right after the pass you catch a first glimpse of the valley and the oases, a green river of palms snaking up into the haze bordered by the Kasbahs, adobe guardians rising as if from the earth where the green gives way to the desert. There is no road sign but somehow you become aware you have entered a different land, le grand sud. 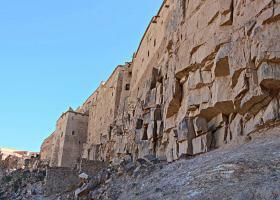 Right after Agdz, we turn left and will stop to wander around the eerie kasbah of Tamnougalt. 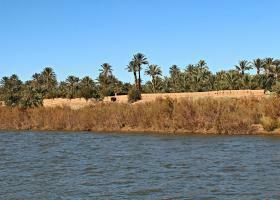 Biblical adobe villages border the palm grove. 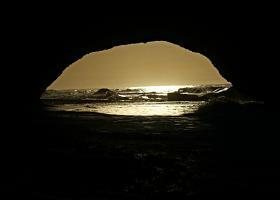 It is worth visiting at least one of them – perhaps the one where most of the population is still black, descendants of former slaves- the Harratin. A picnic lunch by the river, under the palms, is quite a treat. 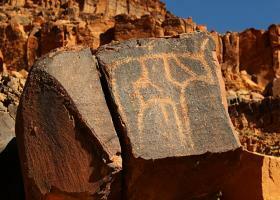 Or perhaps discover the rock engravings at the end of a dusty off road track. We reach the tranquil town of Zagora late afternoon. After breakfast, our 4x4 Morocco tour will take you through adobe villages bordering the route and the first patches of sand start to show. 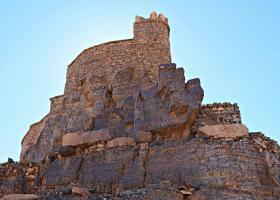 The nearby village of Amezrou, carries on the Jewish tradition of silver crafting and the adobe synagogue still stands. We will stop for a break in Tamegroute where century old Qorans and Arab treaties on astronomy and sciences are neatly arranged behind glass windows in the zaouia’s library. The same village carries a pottery tradition known throughout Morocco Watch how the clay is being turned into emerald pots and dishes inside traditional earth ovens and glazed into its particular emerald green cover. Before long, our tour reaches M’hammid, where civillization ( or at least the tarmac ) ends. 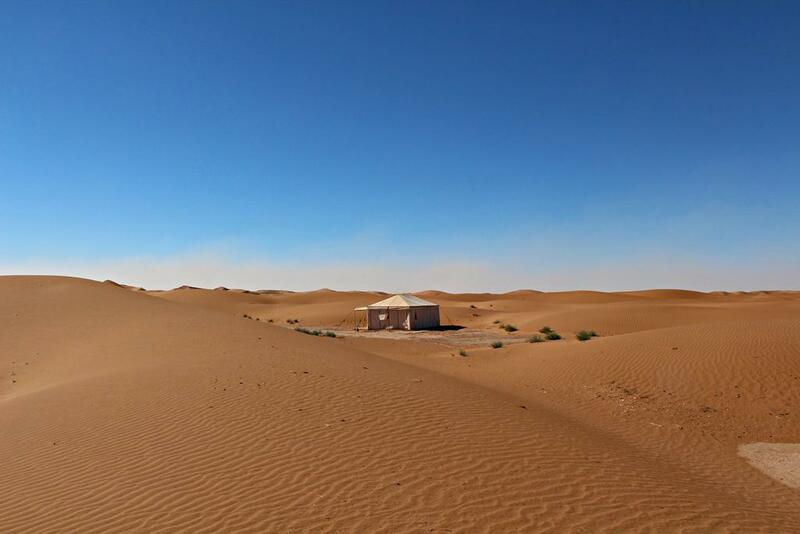 The next two hours of our tour make full use of the four wheel drive as rocky desert gives way to gravel and then sand dunes, past the occasional water well and oasis. The anticipation built doesn’t quite prepare you for the spectacle ahead of you- these are the dunes of Erg Chigaga. Just as you enter the dunes, you are meeting the camels. Ride a camel into the dunes as the sun is slowly dipping into the horizon. 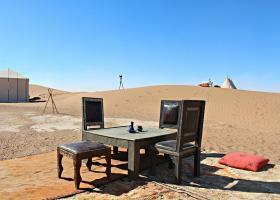 While the staff of the camp is unloading your luggage, you climb onto the highest dune you can find. There is nowhere else you would rather be. Have dinner in front of your tent, by the camp fire, under starriest sky. At night, dazed by the millions of stars glittering above, the silence is so thick you feel you could cut a strip and wear it as a scarf as you fall asleep. Should you have missed the sunrise… well, try not to. After toddling across sand dunes, our trip reaches the perfectly flat Lake Iriki, nowadays completely dry, where the Draa river used to form its estuary. Later on, we will have tea with a family of nomads and search for fossils. 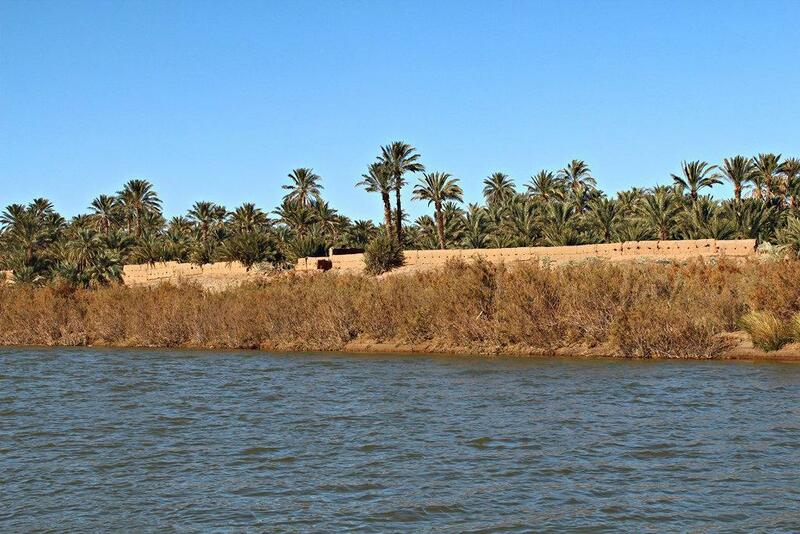 Then, we take on the hamada, the much dreaded stony desert, to finally reach Foum Zguid. Farewell Sahara, hello tarmac... Though the dunes are behind, the immensity is still present. The tarmac swirls past barren plateau and sun- burnt ridges while you barely cross another soul. Continue south and stop by the nearby waterfalls. A couple of hours later, reach your accommodation for the night, a five- century old noble house erected on a top of a village overlooking the palm grove. The many hidden corners, passages and patios will delight adults and children alike. Food is rustic, locally- sourced and really tasty. 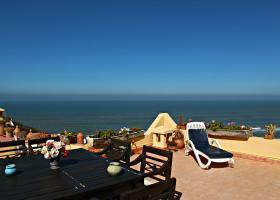 In the morning have breakfast on the roof terrace – one can hardly imagine a breakfast with a better view. Spend the morning learning how a water clock works in the nearby palm grove, preparing traditional bread in the village stove, visit the grottoes or trek by the cliffs. 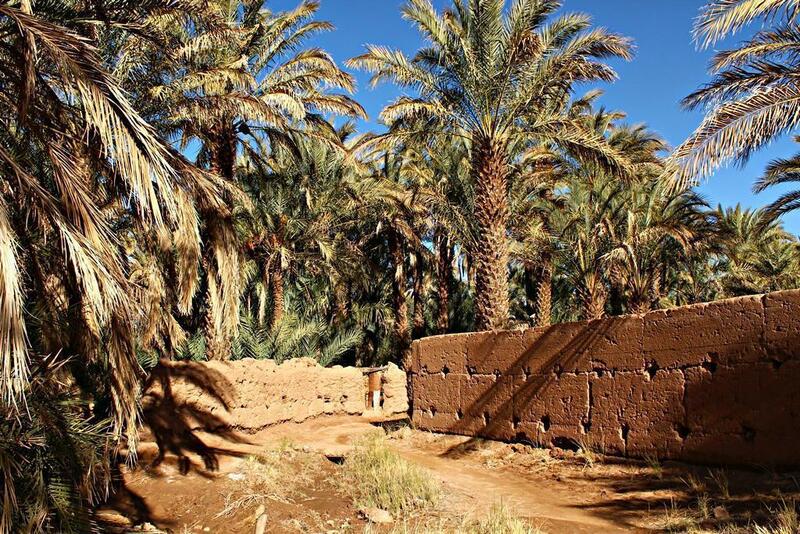 Picnic in the nearby palm grove to then reach a very old Berber village where you will be able to push the gate of a 18th century old granary, recently restored. Inside the palm grove an unfinished mosque from centuries ago stands as a silent guard. 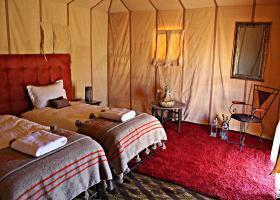 Your accommodation for tonight resembles an African lodge more than a Moroccan kasbah. Day 6: Icht - Amtoudi ( 1 hour drive). Today, we will discover the local area and its not- so- obvious attractions. The remoteness of the spaces is why most people would come and stay here. But don’t let yourself be fooled by the appearances. In the surroundings, at the right place and time of day you can glimpse foxes, eagles, wild boar, hares, mountain gazelles, bustards or partridges. 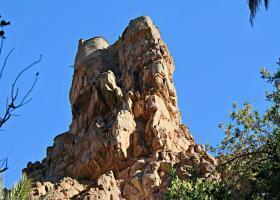 After breakfast, leave the guest house and take the route to the old village at the foot of the local djebel. Visit the old streets of the village, the museum created by Abdesalam, and the women’s cooperative who make colorful rugs and other home objects ( who also adorn the rooms of the guest house). 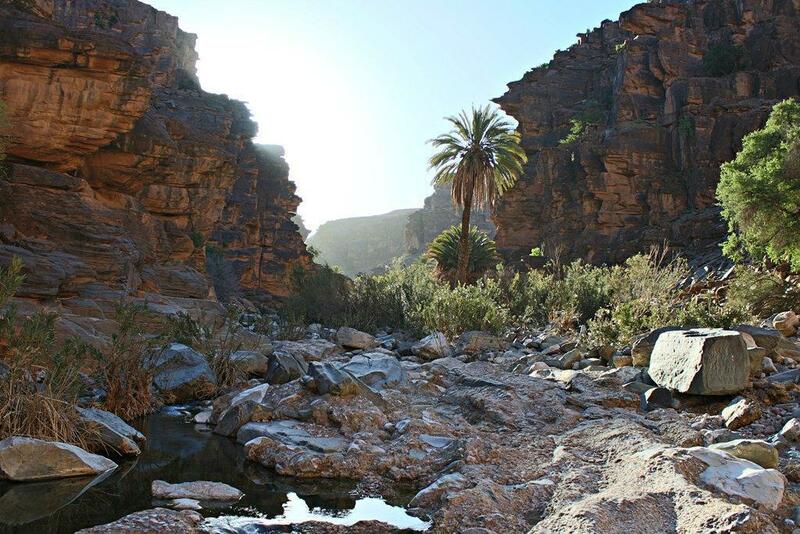 Back in the 4x4, travel to Amtoudi to drop the luggage at the guest house and have lunch to trek up the river bed and find yourself in the middle of primordial gorges, their wax- like lava walls appearing to have caught time suspended. Natural pools of deep- green transparent water appear here and there, where fish swim. The climb is sometimes steep, but it's worth all the effort. At the end of it, the 300 meter high gorge opens up and you can make your way back through the deserted plateaux above. Dinner and accommodation in the gorges. After breakfast, walk up the mule track and wander through the 70 odd rooms of the local granary overlooking the village from 600 meters high and see where locals used to stock grains, raise bees and collect rain water. The documents attest the granary is around 800 years old. 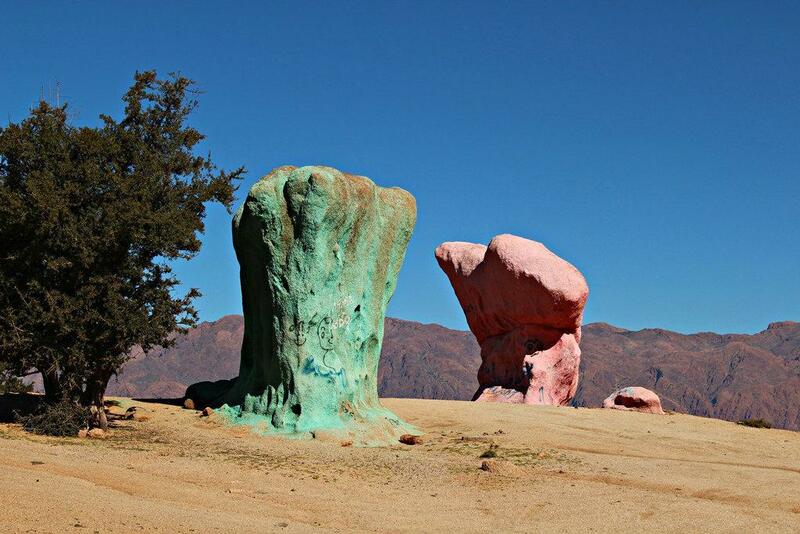 It was also used as a back drop in times of attack from a different tribe or the nomads from the Sahara. Back inside the vehicle, a most stunning off road crosses the Anti- Atlas , via one of the former piste des legionnaires. 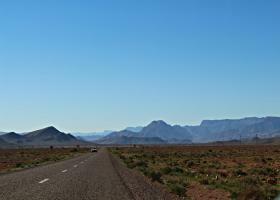 Arrive in Tafraoute late afternoon. In the morning, if any energy left from the previous day, hop on a bike and explore the local gorges and awe at the games of light and shade the palm grove and the bare mountains offer. For those interested, a few tracks are available for trekking or rock climbing. As you thread your way through the gorges and deep red villages, there will be a flash of quicksilver to your left: an oasis of deep- green water, ringed by a white granite bed of rocks, glinting in the sun. The local painted rocks and Napoleon’s hat are also worth a detour. Or the Lion’s head… After lunch, take the route over the Anti Atlas and stop on the way to admire the 360 rooms of a local agadir, set on 5 stories where rock slabs are used as staircases. 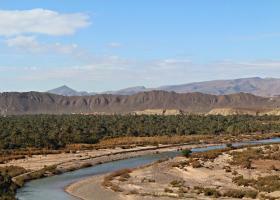 The route then goes up to cross the tranquil town of Ighrem and then descend on Taroudant and its fertile plains, the snowy peaks of the High Atlas in the background. 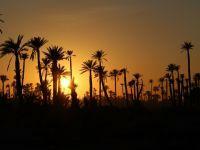 Arrive in Taroudant in the evening. 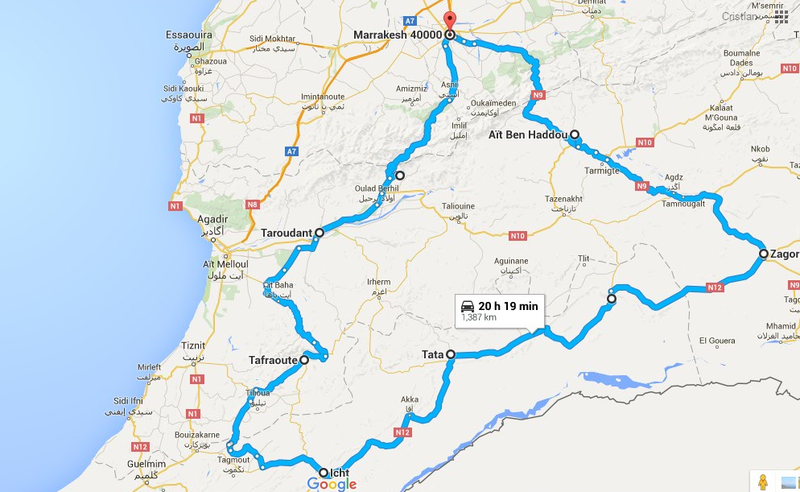 Day 9: Taroudant – Taghazout/ Chichaoua – Marrakech ( 5 hour drive). 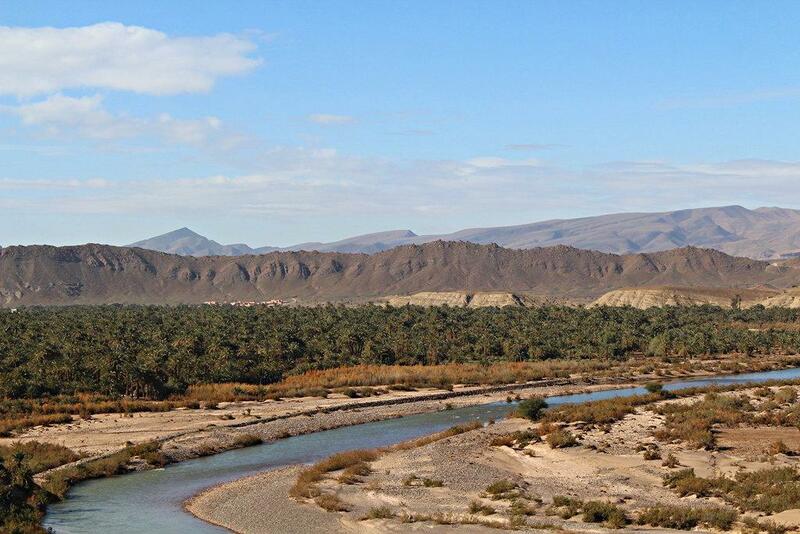 Taroudant lies in the middle of a fertile agricultural plain that crashes into the foothills of the Anti Atlas while nudging the Sahara in the south. 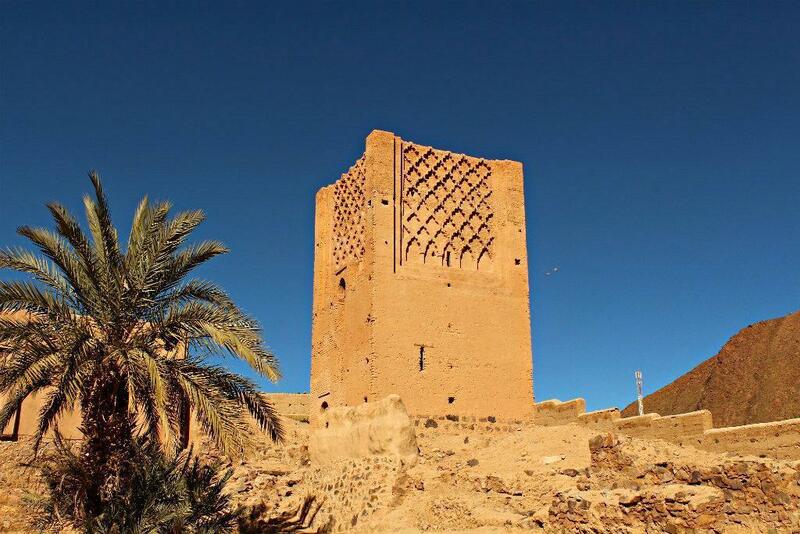 Also called sometimes ‘Petit Marrakech’ due to its similar looking walled old town, it is in fact older than its northern sister. Its walls were built by the Saadi sultans back in 16th century when the city was their capital and the main base to attack Portuguese invaders on the nearby Atlantic coast. In this quiet town where most folks go around on their bycicle, hop on a caleche and have a tour around the city walls or wander the souks best known for silver, honey and argan oil and imagine how Marrakech used to be 30 years ago. There are two ways to return to Marrakech. 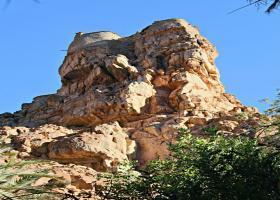 One is via the highway from Agadir, after having enjoyed some time on the beach just north of Agadir. The beaches around bohemian Taghazout are embraced by a warm sea current and you can swim in the Atlantic most of the year. Agadir is only a 1 hour drive from Taroudant and 3 hours on the highway to Marrakech. Or, you can choose the other route and stop on the way to visit a 500 year- old apiary where the owner will introduce you to traditional bee- growing, have you taste the different sorts of honey (our favorite must be argan honey) and invite you for an organic lunch in his home. Arrive in Marrakech late afternoon. You may choose to follow the original tour itinerary as described on the website or have us create a tailor made itinerary around you. Please note that all our tours of Morocco are private and, all along, stops are accommodated as often as you desire, for you to visit a site, take a stunning photo or stretch your legs. 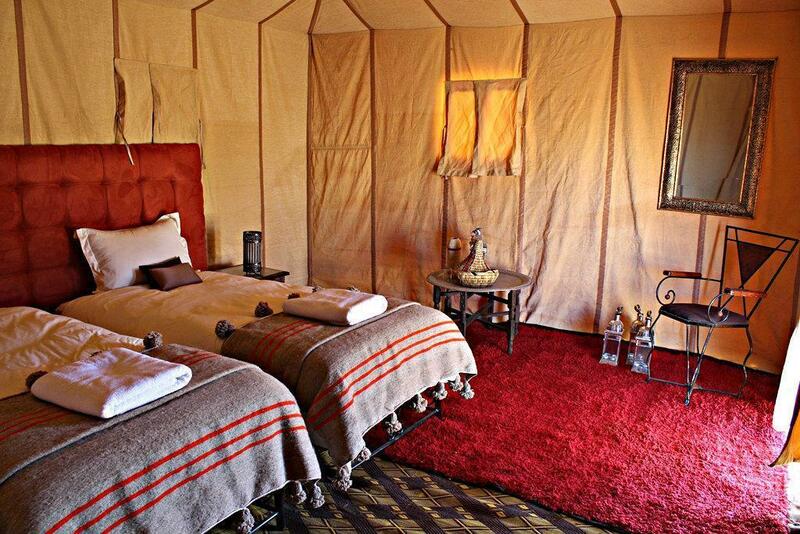 We believe our guests deserve to be spoiled and stay only at the best properties while on a customized tour of Morocco. 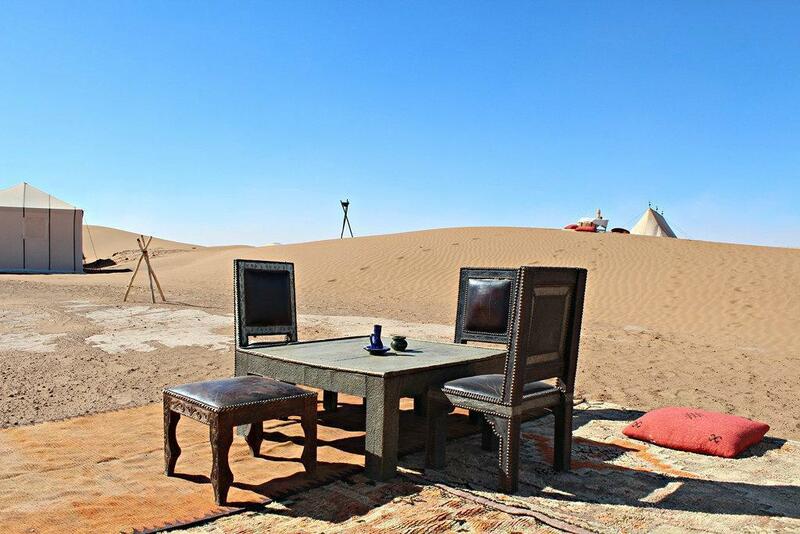 We spend a great deal of time and effort to anonymously test and hand- pick the best boutique and luxury hotels, Riads , eco lodges and Kasbahs across Morocco. 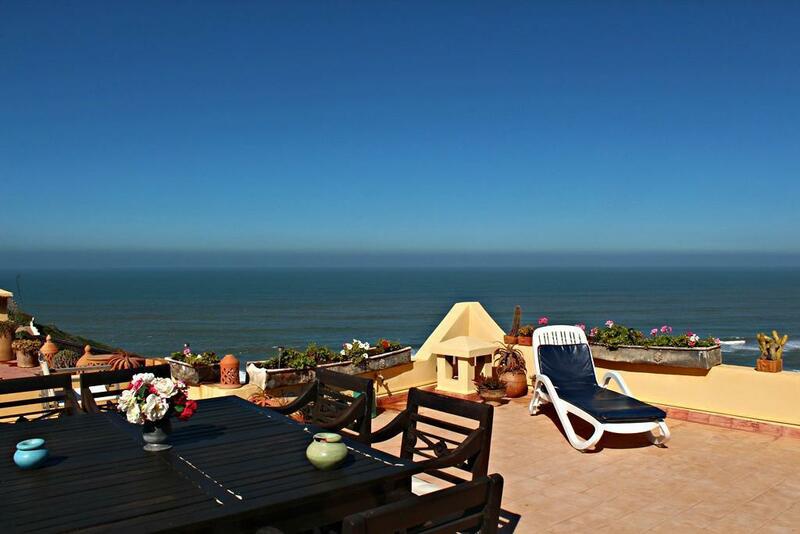 These select properties are constantly monitored and updated. Each one of them is inspired by and reflecting the culture, architecture and cuisine of its location. Upon enquiry, we provide a day- to- day customized Moroccan itinerary with the names of the accommodations suggested at each overnight. 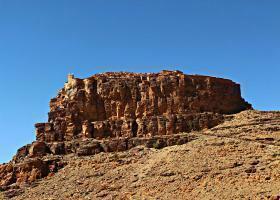 Day 1: Marrakech- Telouet – Ait Benhaddou ( 3 hour drive). 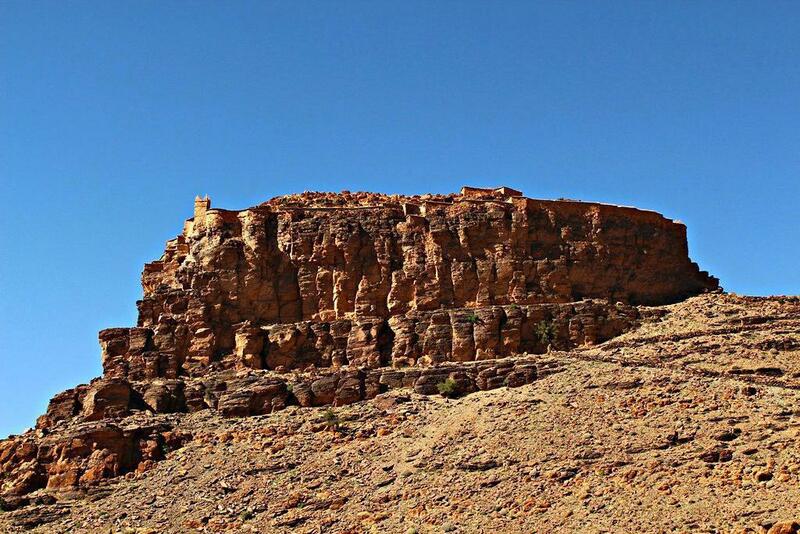 Day 2: Ait Benhaddou – Ouarzazate – Agdz - Zagora ( 3 hour drive). 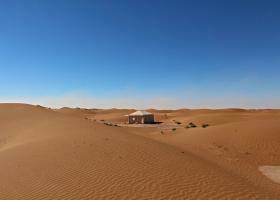 Day 3: Zagora – Mhamid – Erg Chigaga dunes ( 3 hour drive). Day 4: Erg Chigaga – Lake Iriki - Foum Zguid – Tata ( 4 hour drive). Day 5: Tata- Akka – Icht ( 2 hour drive). Day 6: Icht - Amtoudi (1 hour drive). 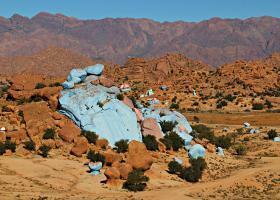 Day 7: Amtoudi – Tafraoute ( 3 hour drive). 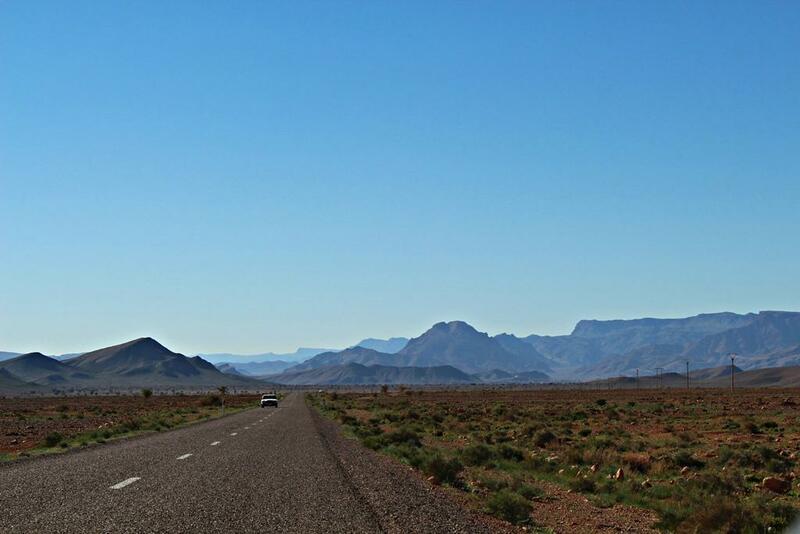 Day 8: Tafraoute – Taroudant ( 3 hour drive). 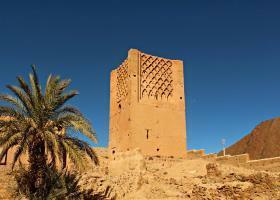 Day 9: Taroudant - Taghazout/ Chichaoua - Marrakech (4- 5 hour drive). - surfing or wind- surfing on the Atlantic coast. Divine: not available for this tour. Pricing is tentative and can vary slightly at different times of the year. If you book your tour to take place in December, January ( outside end of the year holidays), February, July and August, you will be charged our low season rates. We can only quote an exact rate once we have agreed on the precise itinerary, accommodation option preferred, the extras you would like to include and the duration of the journey. Discounts apply when 3 or more persons share the vehicle(s). You can also choose to mix different accommodation ranges within the same circuit. - transport insurance, VAT and visitors tax. Most of our guests prefer adding an extra day to either allow for some relaxing time by the beach in Essaouira or trekking in the Atlas Mountains.